This was so informative and I’m so glad you shared it! I often wonder if I have gluten intolerance but obviously it’s not bad enough that it’s making me super sick, but I have acne as a 27 year old and that’s weird to me. But not everything is because of food allergies like we food bloggers tend to think! Its such a tricky thing! Food intolerences are so hard to figure out just like Celiac. It would almost be better if they had direct symptoms like an allergy since you could tell right away! Great list! So, so good! I’m one of those weirdos you mentioned in #5… :p I’m going to feature this on Savoring Saturdays tonight – I hope you’ll stop by and link up again! Wow, I held many of these misconceptions until now. I did know that going gluten-free is useless unless you have a gluten-related condition and that Celiac sufferers need to go 100% gluten-free. I didn’t know that gluten intolerance and Celiac Disease are different though. Well I’m glad I could some of the others things up for you! Nice job compiling these myth debunkers. Honestly, I’ve sorta fallen for #11. Though over time I’ve realized that I should just eat healthier (ie organic and such) overall instead. As long as you don’t fall for it now! I think one of the reasons people are confused about g-free is because so many people took it up as a “fad” diet that they just assume everyone does it for that reason. It’s like the people who do it for the fad cheapen the fact that others have celiac disease and simply CANNOT HAVE GLUTEN. I think it is good to answer people’s questions about celiac disease and g-free because the only way they will understand it is if they are given the information. I remember… oh, 8 years ago, I was doing choreography for the musical the HS i work at was doing and one of the senior boys was eating this weird bread. He explained to me he had celiac disease and couldn’t eat gluten. BOY did I have questions for him! What is gluten? What CAN you eat? What about PIZZA? hehe. This was way before g-free became mainstream and I had never heard of it before. 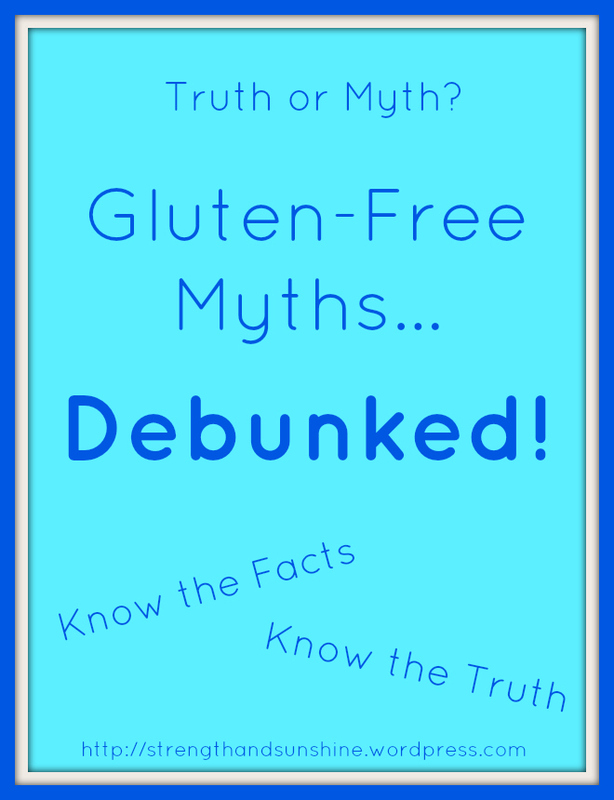 I never heard of it again until Elisabeth Hasselbeck on the view started talking about it and then I was like, “Omg, that’s the same thing that boy has!” Obviously there is a lot more information out there about gluten but some of it is myth. Thank you for debunking it! Wow, thank you for your comment Meg! It is how the media and mainstream society has basically destroyed the true credibility of what gluten-free means. It is sad and angers me so much. To people with Celiac it is like a kick in the face when someone takes gluten-free the wrong way. It is like someone going “peanut-free” as a fad diet! Years ago Celiac and gluten-free were so under the radar, but now that it is forefront and prominent it is still not “educated” correctly and even though more people know about it, they don’t know the facts. Its going to be an adventure with my food allergies and restrictions in college next year! But that’s silly they thought that! I hope they stopped quickly! And it drives me crazy too 😉 I blame the media and marketing! Very interesting about oats being gluten free – I’ll have to keep that in mind! Also, totally agree about gluten free not meaning healthy. Just because a cookie is gluten free means nothing! Exactly, all processed food is processed food. So if you start picking up gluten-free labeled goodies thinking they are somehow healthier, you will end up gaining weight, consuming sugar, carbs, and calories, you didn’t want, just like anything else! Oats are tricky though, and they have to be certified for safe Celiac consumption! Great post! I didn’t know that about the oats containing a different particle some people with celiac can react negatively to. I think the gluten-free craze has gotten blown a little out-of-proportion. Those who need to be gluten-free should do it, but yeah, there’s a lot of lies people will believe about it, like the weight loss and such. Every way of eating, fad diet or not, always comes with a boat load of myths, facts, confusion, and the like! We just need to focus on the facts though! But now you know and can share the facts! I’m so glad you posted this! I’m gluten free due to an allergy. Though I’m not celiac, it’s not a fun experience when there’s hidden gluten or when a restaurant makes the mistake of not substituting the gluten free pasta into the dish. One bite in and it’s seriously painful. It’s so annoying to hear people talk about “being gluten free” and then see them demolish a hamburger (bun and all) without a second thought. It takes me at least two days before even feeling somewhat normal and even then my body is still reacting. Thanks so much for this post, hopefully people will be a little bit more knowledgeable now! Thanks friend! I know, I hate all these people going gluten-free or saying they are and knowing nothing about it! Gluten-free is not just a diet choice like Paleo or Vegan, it is a real medical necessity! I say, DO WHAT WORKS FOR YOU!!!!!! 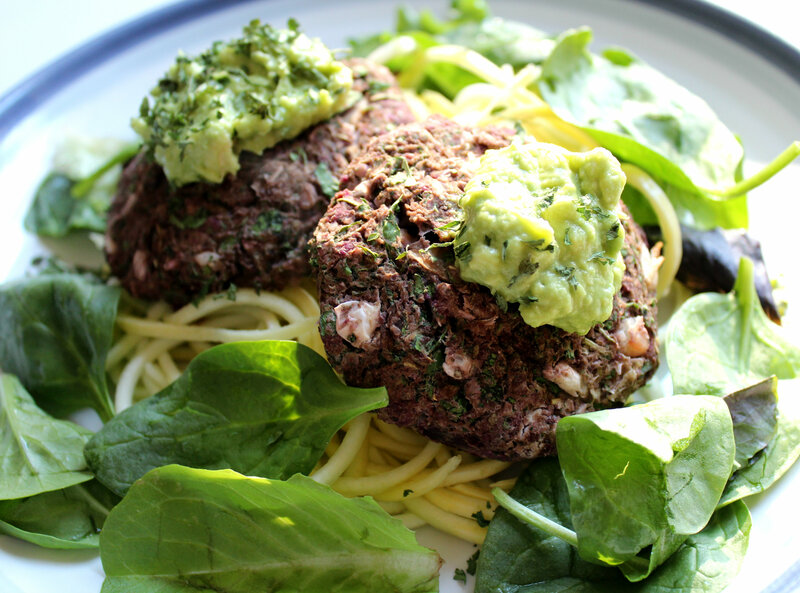 If gluten makes you feel like crap, well then… It’s obvious you should ditch it! Hopefully it if for an intolerance or sensitivity and not just in your head form the media! Great info! I have heard that people begin to feel better right away, but I’m sure it takes a while for the body to cleanse its self. Thanks! It really does depend on the person, but it usually takes more than just one day! Thank you for dispelling these common GF myths!! I have such a hard time getting my friends to understand “no, I can’t just scrape the icing off the cupcake” They just don’t get it! It’s really hard to change people’s set mindsets on food that they have held so long! It makes me so angry that people just can’t understand the severe consequences of cross-contamination! This is great Rebecca! I learned a lot, but you also backed some of my own findings. I tried gluten free for a month earlier this year, and I found that it did not work for me….because I did not need to!!! I also put on weight, you are so right about people misunderstanding it to lose weight. As an athlete I wanted to try to see if my stomach reacted well, but I did not really notice a difference at all…and that is okay!! Oats and Coeliac disease are definitely misunderstood (which is probably why my Can Coeliacs Eat Oats post is one of our most popular posts!). 4 out of 5 coeliacs can tolerate avenin/oat gluten with no issues where 1 in 5/20% have the same or similar reaction they have to gluten. I’m so so thankful that I can eat oats seeing as I have so many food issues! My biggest pet peeve would have to be contamination because people just don’t understand how sick you get. I’ve given specific instructions to restaurants and told them how seriously I can react only to be feeling like death warmed up 6 hours later when the glutening sets in. Cross contamination explaining is the worst. A lot of my family still does not get it, my mom and I try to explain, but it seems like they just close off their ears and think about something else. Same here with the many restrictions. All anyone needs to know is, I have plenty I CAN eat even though I don’t/can’t eat certain things. Here in Belgium, bread is part of most meals, but there is very little gluten awareness. My mom in Brazil finds gluten free products everywhere, while I struggle a lot (and pay a little fortune when I find them). Anyways, I loved the info you posted. There is so much misunderstanding that is great whenever someone brings light to the subject. Thanks Debbie. It is interesting to see how other cultures handle Celiac. The markets for gluten-free are ever expanding so hopefully you will get more option soon! I think you about covered it! Great list. I always wondered why people assume gluten free diet is healthier & think they can loose weight. Crazy folks. Haha! Yes, crazy! It is my biggest pet peeve!